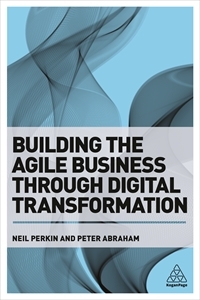 Agile is rapidly becoming something of a fixation of mine. This week I got together with the estimable Johnnie Moore and Robert Paterson to record a podcast on agile planning and agility in business. How and why many companies need to change in order to operate effectively in the networked world. As Johnnie says, it's a "non-linear kind of conversation exploring what makes for agility in organisations and what gets in the way".